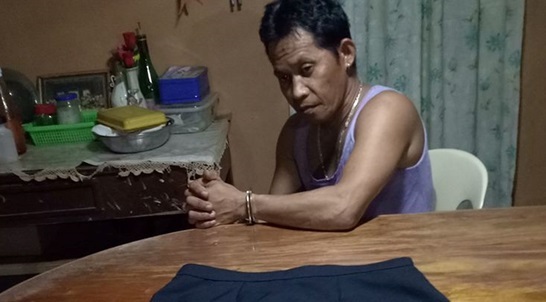 A man considered a priority target of the Philippine Drug Enforcement Agency (PDEA) was arrested in Tagbilaran City on Thursday night. PDEA provincial intelligence chief Nicolas Gomez identified the suspect as Jimson Caunmeran, 44, of Barangay Taloto in Tagbilaran City. According to Gomez, the suspect previosuly surrendered under Oplan Tokhang but continued to peddle illegal drugs. In a report, the PDEA said that their agents spotted Caunmeran as he was selling illegal drugs near his residence. The PDEA then set up a buy-bust operation against the suspect who allegedly sold shabu worth P5,500 to an undercover agent. Caunmeran was immediately placed under arrest after the staged transaction was completed. According to Gomez, three more grams of suspected shabu were found in the suspect’s possession. The seized drugs were estimated to be worth P50,000, Gomez said.